The peak selling time is here for Resort Real Estate in Summit County – Resort prices are down a bit, up a bit and/or flat – definite signs of bottoming out. The selection of available properties is good for buyers to select that right property and low enough that sellers have a really good opportunity to sell their property before ski season. Interest rates are still at record lows offering buyers a little more buying power and sellers more buyers that can qualify for their property. Know of anyone interested in taking advantage of this unique situation? Please pass on this information to anyone you feel may find it useful and for questions, more information – think Natasha for all your Summit County needs. 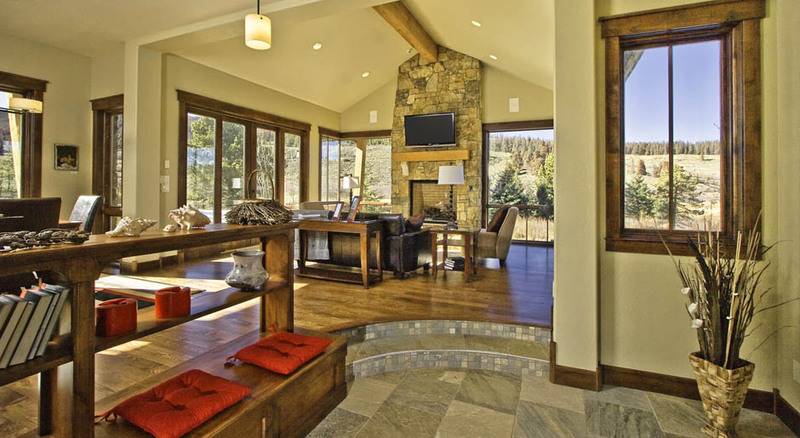 Here’s your opportunity to preview and plan your tour of the Summit County, Colorado 2012 Parade of Homes. Click on the photo to see 20 magnificent Summit County homes. The Parade of Homes will be held on September 22, 23, 29 & 30 in the beautiful mountain communities of Breckenridge, Keystone, Frisco, Dillon, Silverthorne and Copper Mountain. Fall is colorful time of year in the mountains and a great time to tour the Summit County Parade of Homes.